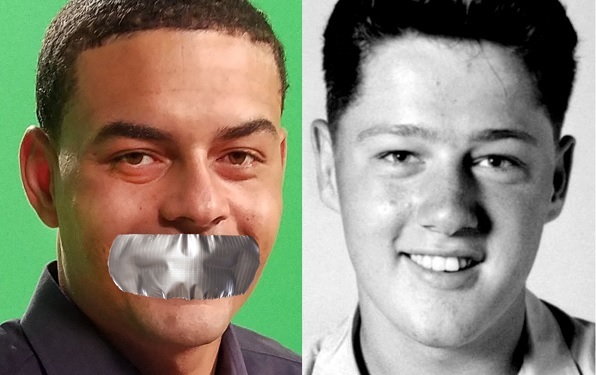 Millions outraged, WND: YOUTUBE BACKS OFF BAN OF 'CLINTON'S BLACK SON' | Public Advocate of the U.S.
NEW YORK -YouTube on Wednesday terminated the account of Danney Williams, the 30-year-old man who has claimed since the 1990s to be the black son of former President Bill Clinton. But YouTube suddenly reversed its decision on Thursday amid public outcry and reinstated the account in the early morning hours, posting a notice that said only: "After a review of your account, we have confirmed that your YouTube account is not in violation of our Terms of Service. As such, we have unsuspended your account. as well as on the YouTube channel operated by Gilbert.